UWC is one of the leading manufacturers of disposable oxygen prefilled humidifiers in the world. UWC is an ISO 13485 certified company that was incorporated in 1990. We have 3 manufacturing plants in Malaysia occupying more than 1100 employees. Last year, our group revenue totalled USD 70 million. 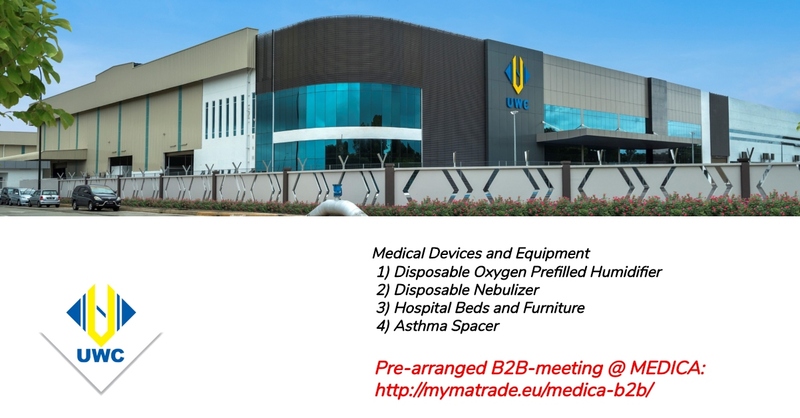 UWC is exporting its medical devices to more than 30 countries. All our products have CE marking.